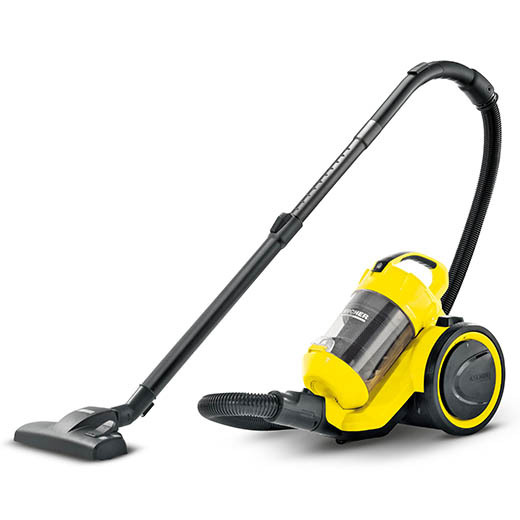 The yellow bagless VC 3 Plus multi-cyclone vacuum cleaner is powerful & economical. The cleaning effect can be viewed at a glance thanks to the transparent waste container. 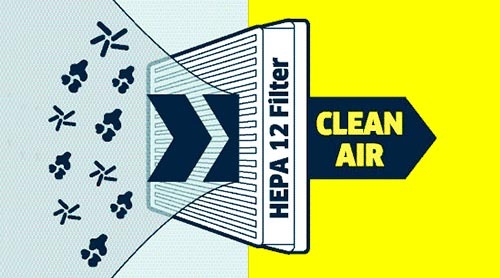 HEPA 12 filter traps 99.5% of dust & particles for cleaner air. Vacuum quietly without disturbing your day-to-day life. Automatic cable rewind to easily store the power cord out of the way. 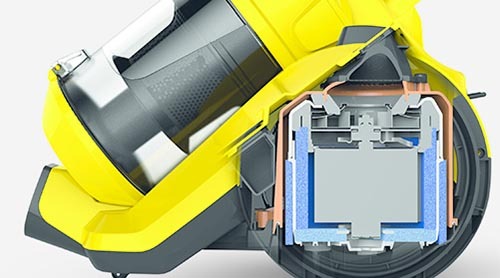 As with all Kärcher products, the bagless VC 3 Plus multi-cyclone vacuum cleaner features outstanding functionality. With its elegant design and practical size, the yellow VC 3 Plus fits perfectly into the modern Asian family home. Easy to use, it is suitable for both young and older people. 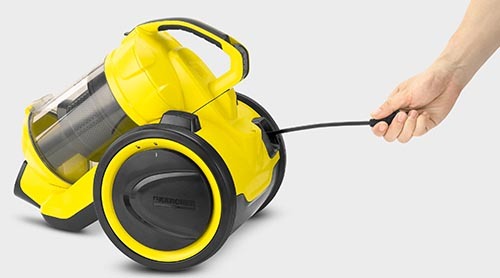 The highly efficient multi-cyclone vacuum cleaner offers consistent high power without loss of suction and, thanks to the washable waste container, it saves you a great deal of money that you would otherwise have to spend on replacement filter bags. The transparent waste container enables you to see the vacuumed dirt, and therefore also the powerful cleaning effect, at a glance. HEPA 12 filters with minimal dust emissions ensure extremely clean air – ideal for allergy sufferers. What's more, the VC 3 Plus is particularly quiet, making it extremely family-friendly. The Kärcher VC 3 Plus cleans floors and carpets just as thoroughly as gaps, corners, edges and other hard-to-reach areas.